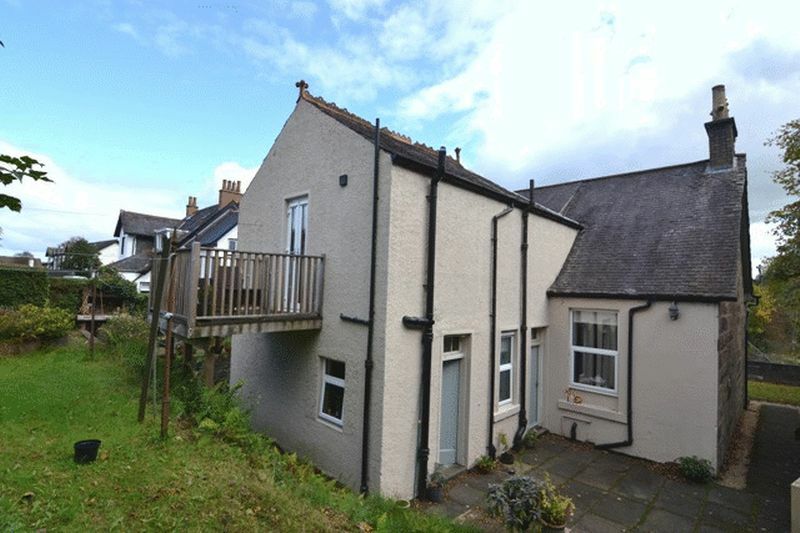 Coast Estate Agents are delighted to bring to the market this charming detached house which is located in a quiet setting on the edge of Dalry with open outlook to the neighbouring countryside yet only five minutes walk from the train station. Internal inspection reveals generous family accommodation over three levels comprising, reception hallway, lounge, sitting room, dining room, breakfasting kitchen, utility room and shower room on the ground floor, master bedroom with balcony and en suite on the middle landing and three bedrooms on the top floor. 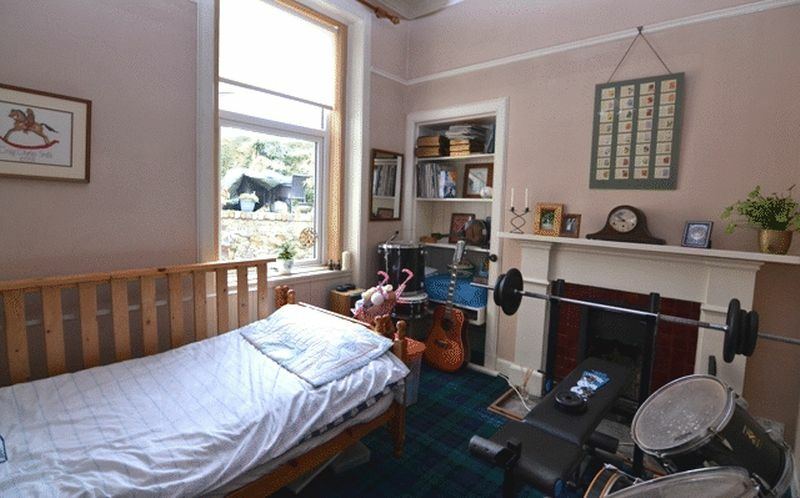 The property benefits from gas central heating, partial double glazing. 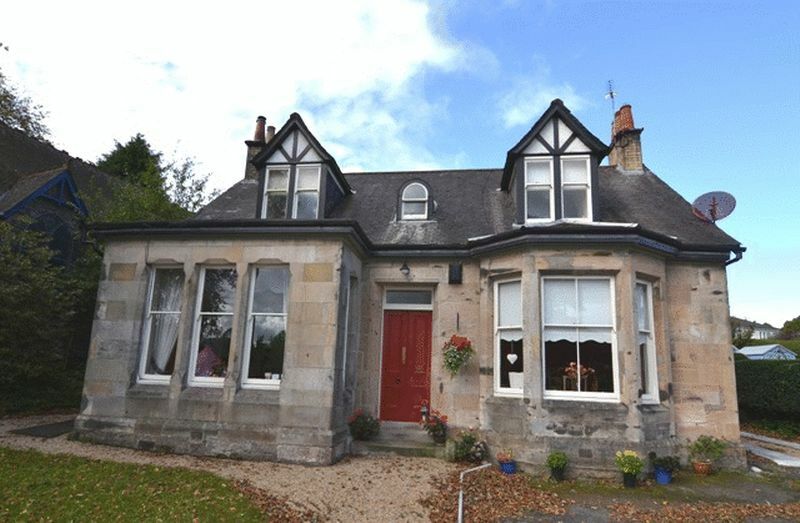 Externally there are mature gardens, outhouse with power and light, garden shed and driveway..
Dalry itself offers many amenities including local shops, schools and with good road and rail links to Glasgow and beyond, the town has become a popular choice with commuters. An early appointment to view is recommended in order to fully appreciate the many qualities this fine property has to offer. Double storm doors into the vestibule which has fresh neutral decor and quarry tiles to the floor, decorative arch and cornicing. Half glazed door into the hallway which had neutral decor to the top half of the walls, dado rail and printed wallpaper to the lower half. 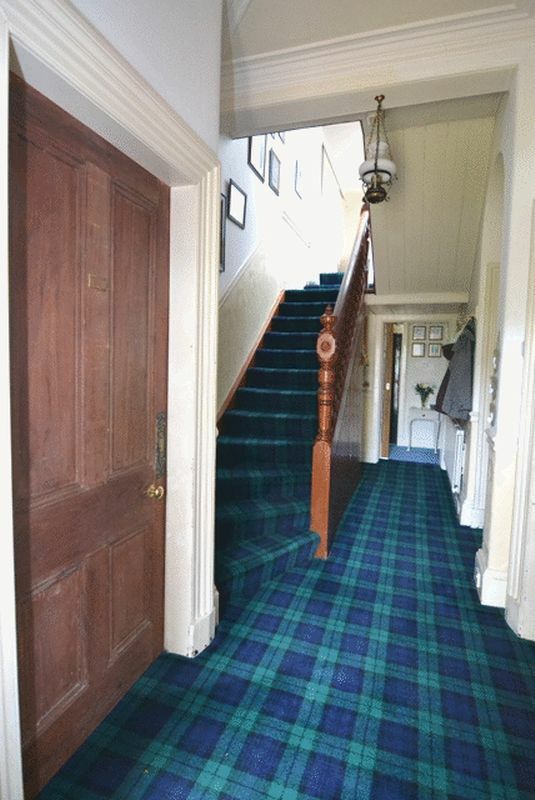 Patterned carpet which extends to the staircase and upper landing. Ceiling light fitting and storage cupboard under the stairs and additional walk in storage cupboard. 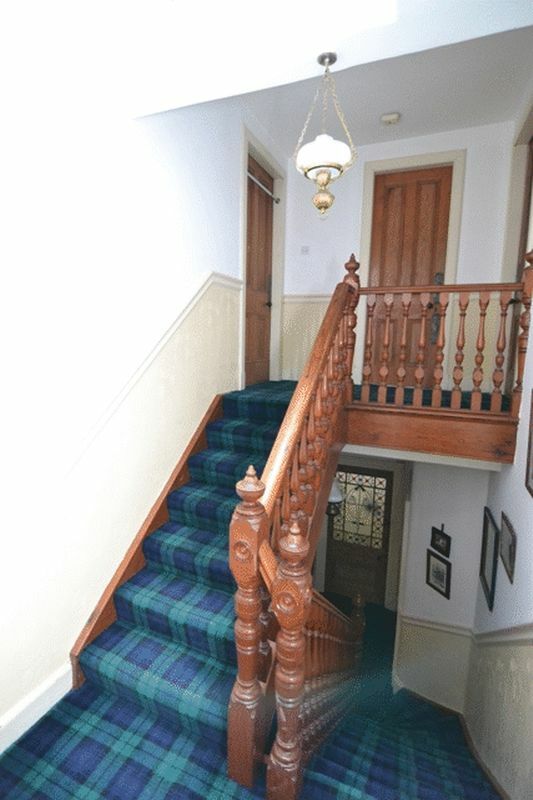 Same decor and carpet continuing from the hallway and staircase to the middle landing which has skylight and central ceiling light. Door to the master bedroom and galleried landing to the top floor which houses the three bedrooms. 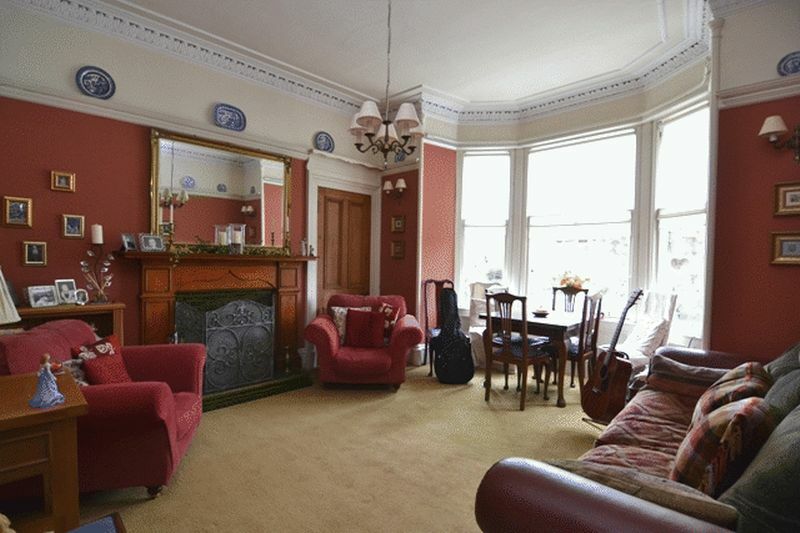 Spacious lounge with bay window to the front of the property. Bright fresh decor and neutral carpet. Feature fireplace with wooden surround, slate hearth, tiled insert and wood burner. Built in display cabinet with storage cupboard, shelves and glass door. Picture rail, coving and ceiling light fitting. 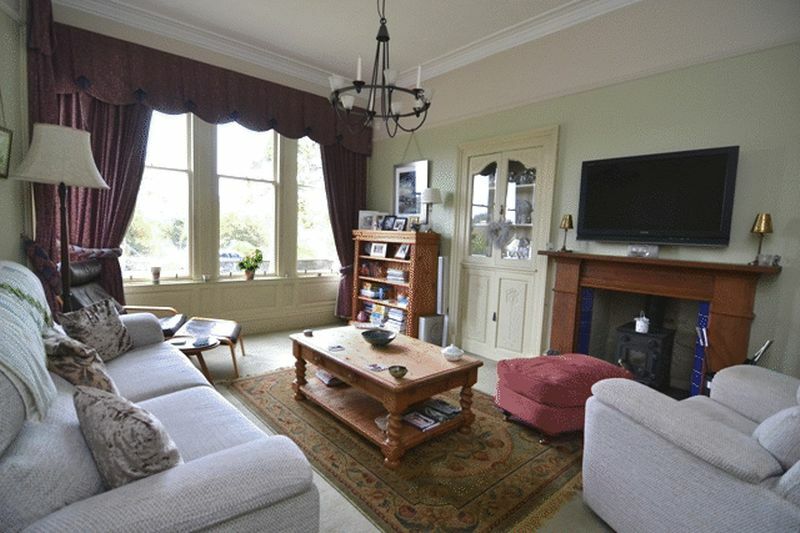 Generous sitting room with large bay window to the front of the property. Bright fresh decor and self coloured carpet. Feature working fireplace with wooden surround, tiled hearth and insert. Storage cupboard with shelves. Picture rail, decorative cornicing and ceiling light fitting. 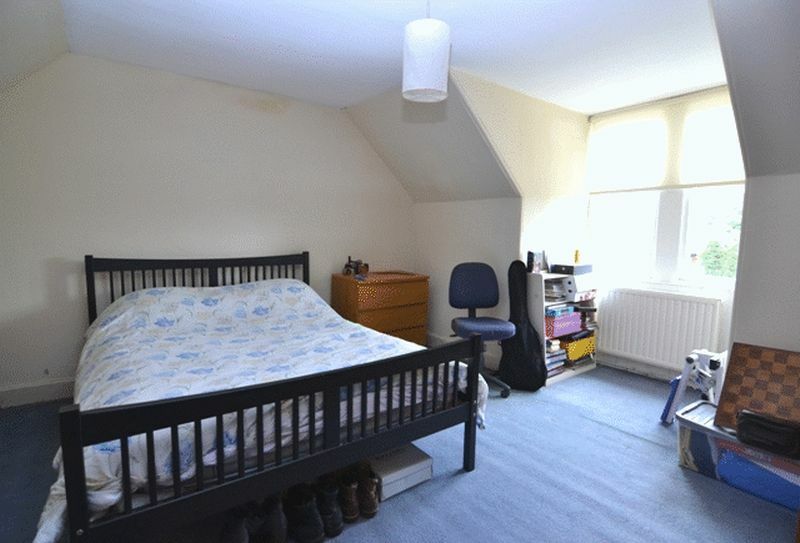 Currently used as a downstairs bedroom, the dining room has neutral decor and patterned carpet. Window to the rear of the property. Working fireplace with wooden surround, tiled insert and stone hearth. Alcove with shelves to the side of the fireplace. Picture rail, coving and ceiling light. Pale green wall and floor units with granite effect worktops and ceramic splash back tiles. Stainless steel sink with chrome mixer tap below the window to the rear of the property. 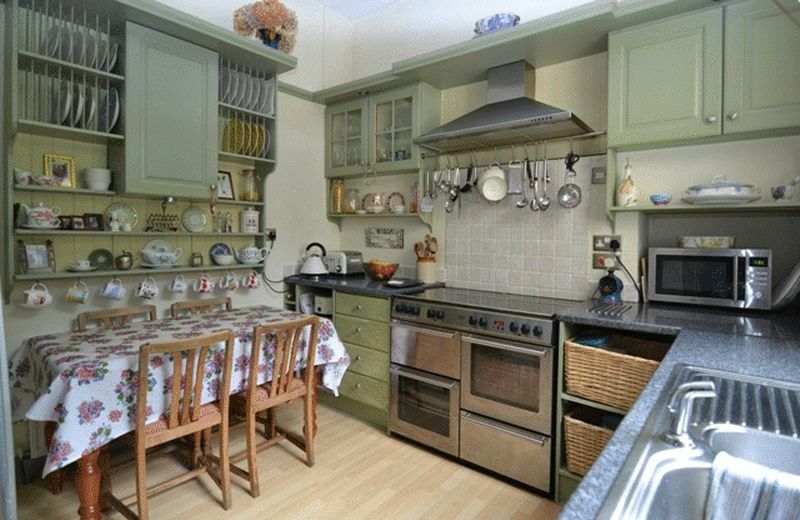 Free standing range style cooker with seven burner gas hob and electric oven. Built in dresser with shelves. Washing pulley to the ceiling. Spot lights built in to the units and ceiling light. Light wood laminate flooring. Located at the rear of the property and accessed via a sliding door from the main hallway. Granite effect worktop and stainless steel sink with chrome taps. GCH boiler to one wall. Plumbed for washing machine. Door to the rear garden. Downstairs shower room with white suite and chrome taps. Shower cubicle with shower running off the gch heating system and glass door. Wood panelling to half way on walls with fresh neutral decor to the remainder. Vinyl tiles to the floor. Frosted window to the rear of the property. Central ceiling light. 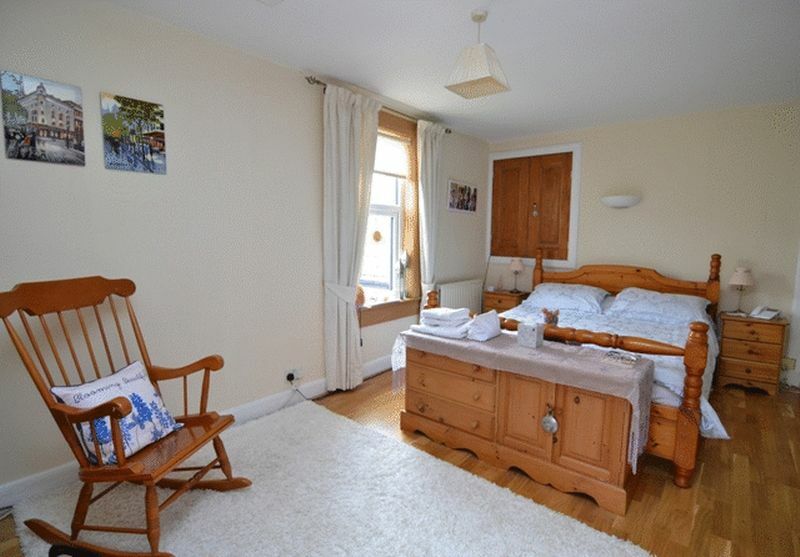 Generous Master bedroom located on the middle landing. French doors to the balcony and window to the side of the property. Fresh neutral decor and light wood laminate flooring. Bank of built in wardrobes with hanging rail and shelves. Storage cupboard into the eves and access hatch to the loft. Wall light above bed area and central ceiling light fitting. White suite with chrome fittings and shower over the bath which runs off the GCH system. Chrome shower curtain rail. 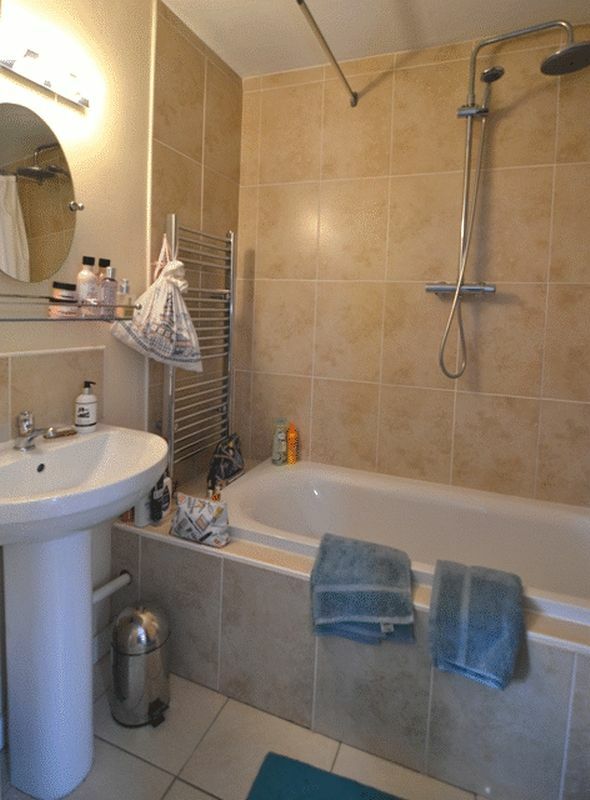 Ceramic tiles around the bath area with fresh neutral decor to the remainder. Ceramic tiles to the floor. Chrome towel radiator. Spot light fitting to wall above wash hand basin. Extractor fan. Sliding door to Master bedroom. 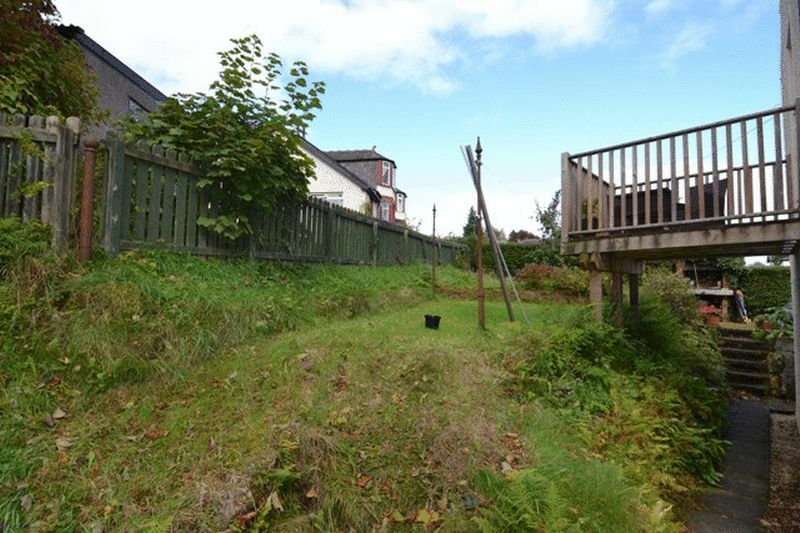 Spacious double bedroom with window to the front of the property. Fresh neutral decor and self coloured carpet. Storage cupboard. Central ceiling light. 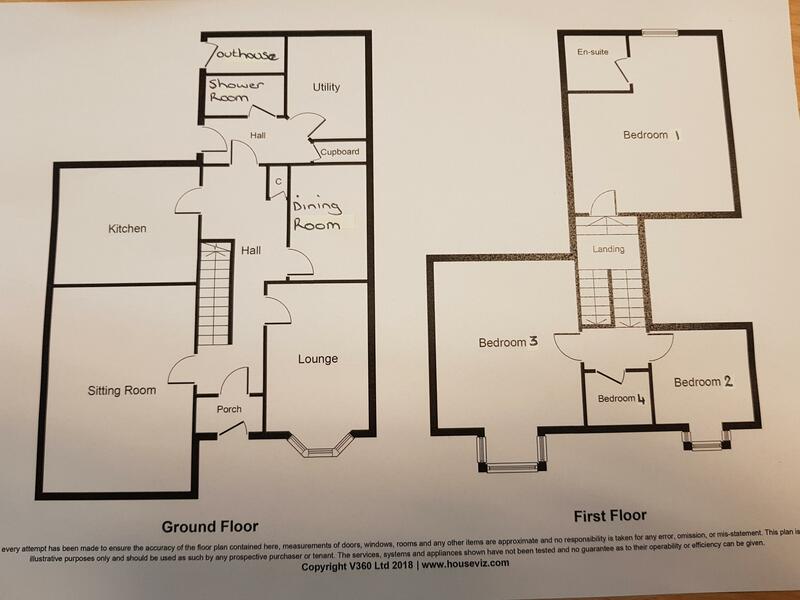 Double bedroom with window to the front of the property. Neutral decor and self coloured carpet. Central ceiling light. 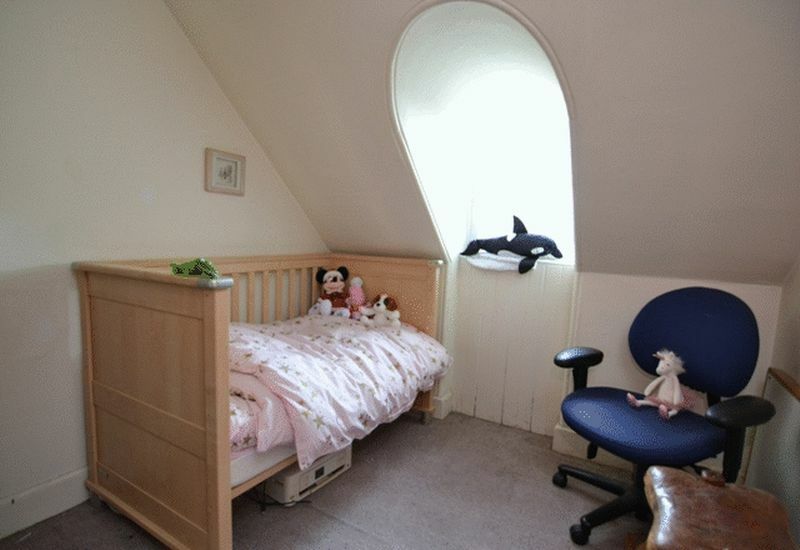 Bedroom with arched window to the front of the property. Neutral decor and self coloured carpet. Central ceiling light. Access hatch to loft. 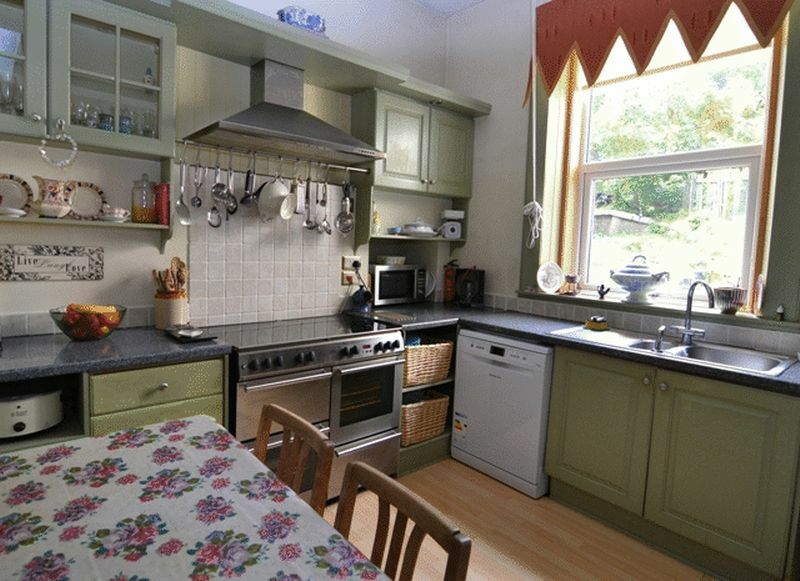 The property is surrounded by generous mature gardens, trees and shrubs. The rear garden is laid to a combination of lawn, paved patio, stone chips and a raised monoblock seating area. There is a brick built BBQ, washing line and poles. Wooden garden shed. Brick outhouse with power, light and sink area. Outside light and tap. The front is laid to lawn, stone chips and driveway.